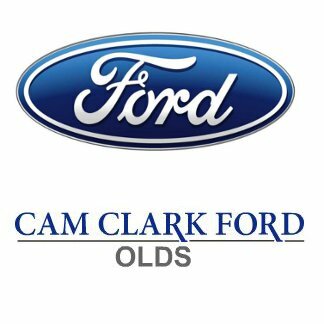 Cam Clark Ford Olds is committed to ensuring outstanding customer service. Servicing Olds, Didsbury, Carstairs, Red Deer, Airdrie, Calgary, Sundre, Drumheller, Cochrane, Lethbridge, Three Hills, Innisfail, Edmonton and the Central & Southern Alberta area. 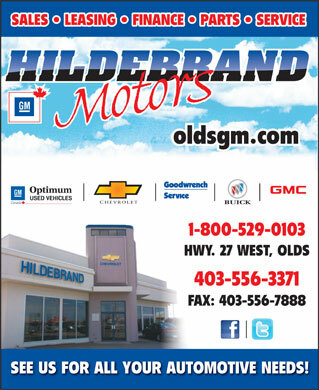 Hildebrand Motors has been doing business in Central Alberta for 21 years. Their goal is for you to be Completely Satisfied with each and every dealing you have with them. Innisfail Chrysler Dodge Jeep Ram in Innisfail, AB treats the needs of each individual customer with paramount concern. We know that you have high expectations, and as a car dealer we enjoy the challenge of meeting and exceeding those standards each and every time. Allow us to demonstrate our commitment to excellence!